You are here: Home / Education / Degrees / Working On Masters and Basketball Possible? How To Work On Your Masters While Playing Basketball Professionally? There are many professional basketball players that look down the road after their career is over. Many players will have enough money for the rest of their lives. For those that are looking down the road knowing that basketball will not pay their bills and expenses forever work to get their master’s degrees. Basketball isn’t the only thing these players have always wanted to do in life, some may have wanted to become doctors, lawyers or engineers. Those professions require either a master’s degree or doctorate. Professional players have the same options as a student that has a full time job and is trying to get his/her master’s degree. The good thing about professional basketball, players have chances to participate in many activities other than training during the off season. Players can also train and go to school during their off season. Many colleges have summer courses where these players can obtain college credits towards their master’s degree. This gives players a chance to obtain their master’s degree and not miss any time as a professional athlete. Athletes that are pushing to earning their master’s degree are looking to have something to fall back on in case of injury, being released or anything that can hurt a player’s career. There are many other ways that a professional basketball player can work on his/her master’s degree. Nowadays there are online colleges and universities like Kaplan, Meritus, and the University of Phoenix that offer fully accredited college courses. Players can take these courses right from a computer, meaning they can even take courses during the season and the off season. Also there are many colleges that offer accelerated college courses that are 5 to 8 weeks that will also earn them college credits. A can be playing professionally in the United Sates or overseas, online courses can be taken from anywhere in the world. Many colleges and universities in the U.S. are starting to offer online courses to people who may be professional basketball players or people who work full time jobs. There have been many players that have acquired their degree while playing professionally. 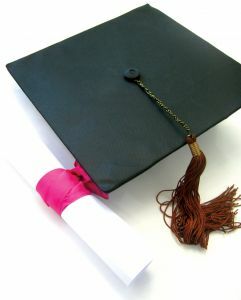 There are many opportunities after a career of playing basketball professionally that might require a master’s degree. Players that have a goal set to acquire their master’s degree are not only thinking about their future they may also be setting examples for younger players in the league who skipped college for the pros. To those who think it’s impossible for a professional basketball player to work on his/her master’s degree, it’s not.